As mentioned in an earlier issue of Library Matters, the exhibit spaces in the Guerrieri Academic Commons are meant as “Exhibit Labs” where students, faculty and staff can share their scholarship and interests by creating exhibits with the assistance of the SU Libraries staff. 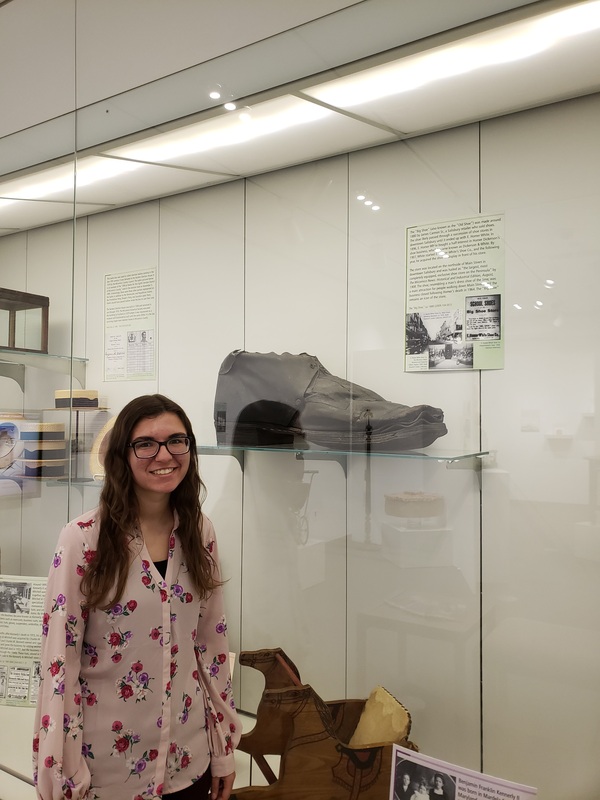 One of our spring exhibits, If Objects Could Talk: The History Behind Eastern Shore Artifacts, is exactly that sort of exhibit, curated by Nabb Center student worker Jaclyn Laman. If you’d like to see Jaclyn’s exhibit, it is open whenever the Nabb Center is open, typically 10 a.m.-6 p.m. Mondays, 10 a.m.-4:30 p.m. Tuesdays through Fridays, and 10 a.m.-2 p.m. Saturdays, and will be on display through July 26.